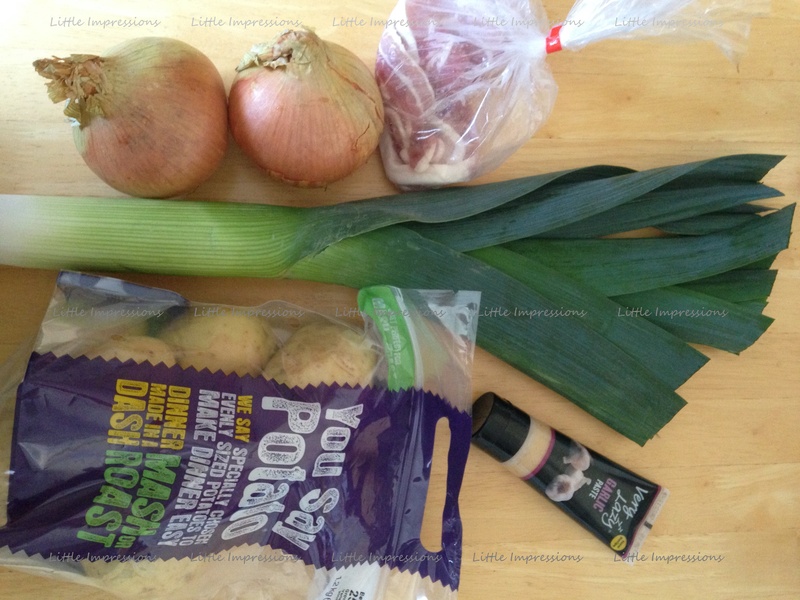 Potato and leek soup is reasonably easy to cook and is perfect for the family especially in the winter months. 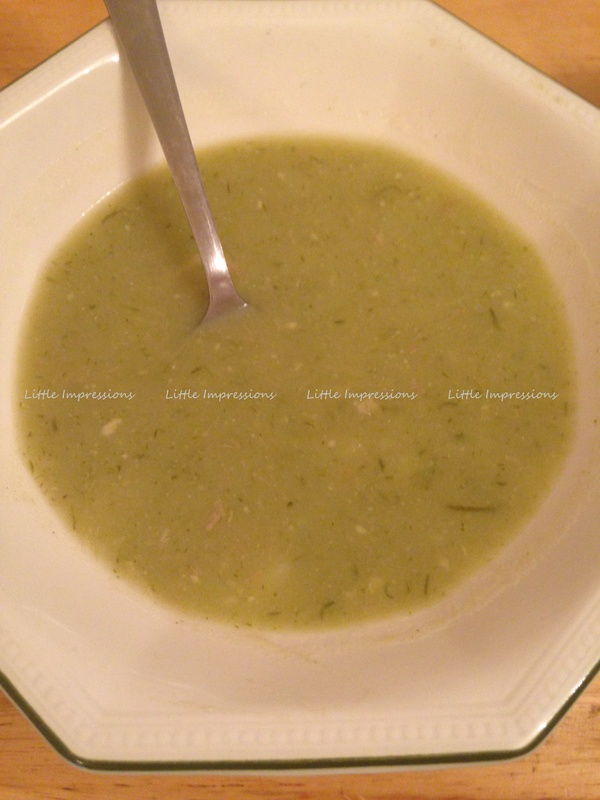 It’s also great when your feeling under the weather and its an easy soup to freeze to have at a later stage although personally I prefer it when its fresh but that’s just me. There is probably many ways of making but here’s how I did it. 2 litres of vegetable Stock although this depends on your pot size and how thick you want it. 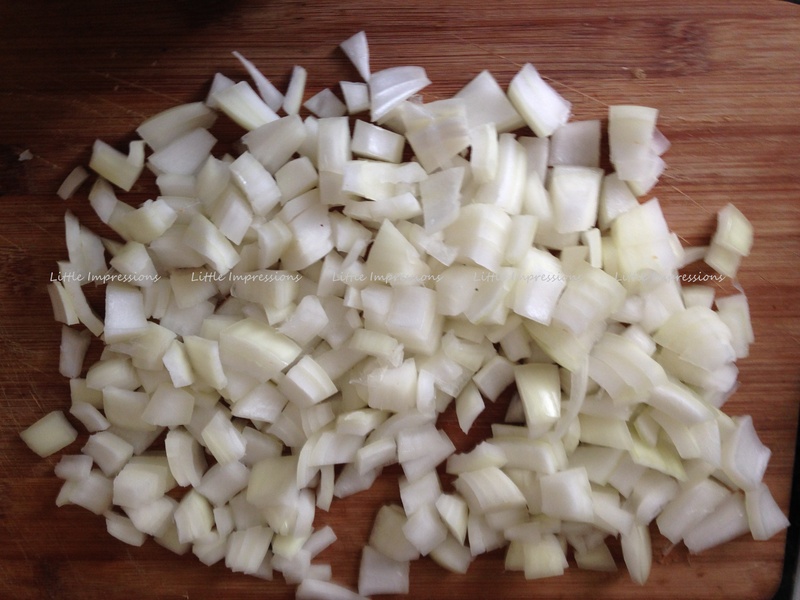 I Started by chopping up my onions,bacon and leeks.I then Peeled and chopped my potato’s. 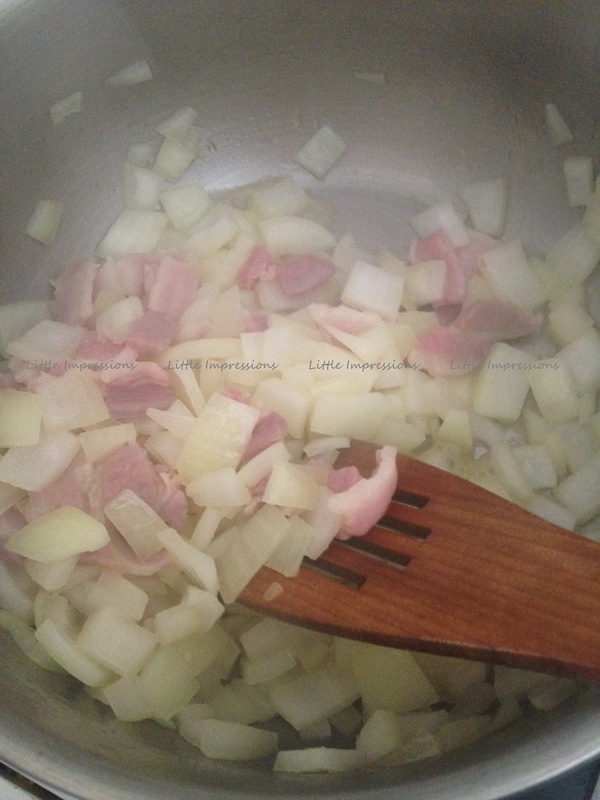 Next I Melt the butter in a large pan, then I fry off the bacon and onion’s together until they are golden brown. 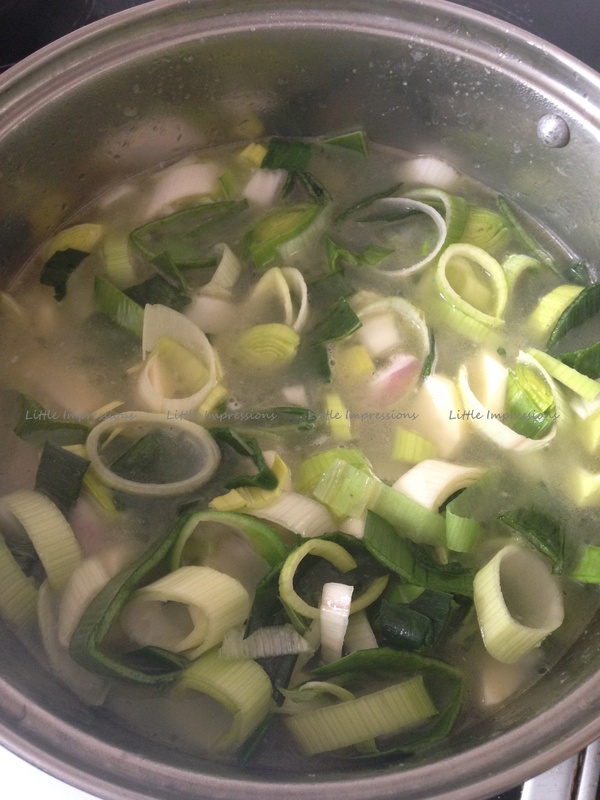 I then make up my Vegetable stock and pour it in to the pot then add the chopped potatoes and leeks. Next I Add in my garlic and stir it well until the soup is up to the boiling point for about 15-20 minutes then I turn the heat down and allowed it to simmer for an hour and I kept checking and stirring it so that nothing will stick to the pot. Once everything is well cooked I then use a hand blender and blend the soup while still in the pot but do be careful doing this incase it splashes on you. Once I am happy with the thickness then it is time to serve. This is how mine turned out and its safe to say the whole family really enjoyed it. I also served it with warm crusty bread and butter which went down a treat.